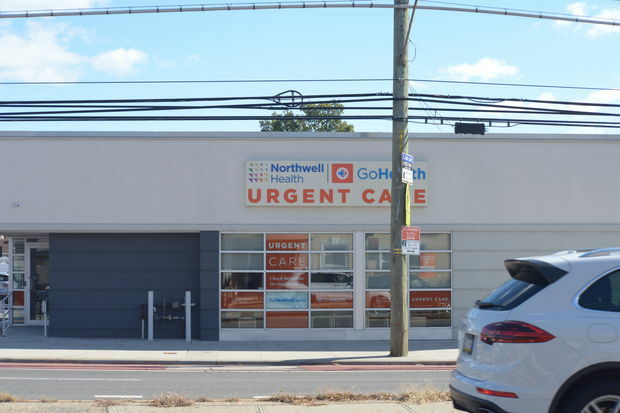 Workers at GoHealth Urgent Care at 1700 Hylan Blvd. regularly made racist comments and passed over a more qualified worker for a promotion because of her race, a lawsuit claims. DONGAN HILLS — Staff at an urgent care center made racist comments — saying that "black people should be happy white people freed them" — and passed over a more qualified worker for a promotion because of her race, a lawsuit claims. The suit filed by Lyanne Reed last week in Brooklyn federal court claims staff at GoHealth Urgent Care, at 1700 Hylan Blvd., openly made racist comments, said they were more afraid of black patients than white ones, and called Reed "aggressive and negative" when she asked for raises or promotions. Reed, who is Hispanic and black, complained to supervisors about the comments of her co-workers, and was eventually demoted and placed on probation for nearly two months, her lawyer said. "A lot of time, with explicit racial biases, it's easy to call it what it is," said the attorney, Keith White. "But when it's implicit bias, when it's a series of actions that can't necessarily be caught, then it's important for us to identify in lawsuits to create precedent." Reed, 26, started working at GoHealth in 2015 and got promoted to clinic lead in January of this year. However, her former boss moved to a different office soon after and was replaced by another staffer. The suit claims that employee, Angelica Shapiro, "emboldened biased attitudes towards minorities" while working as a supervisor and that workers regularly made racist comments in the office without punishment. In one instance, coworker Erica Orientale, who also works as a clinic lead, commented that she wanted "to adopt a black baby to show people [that] if they are raised right they can be different," according to White and the lawsuit. In another incident, while questioning a protest that wasn't specified in the complaint, Orientale said that "[b]lack people should be happy that white people freed them," the suit says. Orientale also questioned why her Jamaican neighbors were upset over another matter not specified in the suit, stating, "Caribbean people weren't even slaves," the complaint charges. Furthermore, a different employee said she were afraid of two black patients who were retired law enforcement members because "that guy has a gun," but she never said the same about white officers or even white drug addicts, the suit claims. When Reed told Shapiro about the comments and said staff should stop being biased against some patients, Shapiro and her coworkers started a "false narrative" stating that Reed was "aggressive, negative, territorial and made her co-workers uncomfortable," the lawsuit says. When Reed requested a raise during her annual review in April with Susan Finnelly — who is listed on her LinkedIn profile as the center's director of operations — Finnelly became contentious and called Reed "negative, angry and hostile," according to the suit. However, when a coworker Reed accused of making racist remarks asked for a raise, she was approved for one. In July, Reed was up for a promotion that required college-level course work she had completed, but she was passed up for a white worker who only had a high school diploma, the suit says. The next month, Reed was instead demoted from her post and placed on probation, a status that remains in effect as an act of retaliation for her speaking up, the suit claims. White filed the suit against Shapiro, Finnelly, Orientale and GoHealth for racial discrimination, a hostile and abusive work environment, retaliation and violation of civil rights laws. Northwell Health, which runs GoHealth, declined to comment. Shapiro did not respond to a request for comment, while Finnelly and Orientale could not be reached.